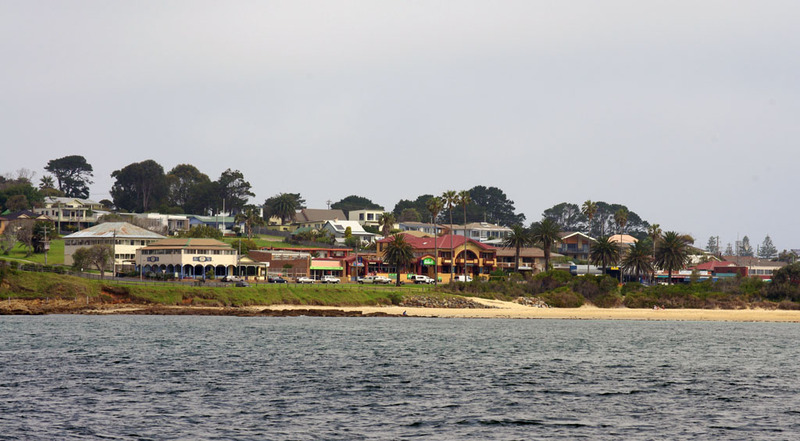 Bermagui as seen from “The Pelican” catamaran. 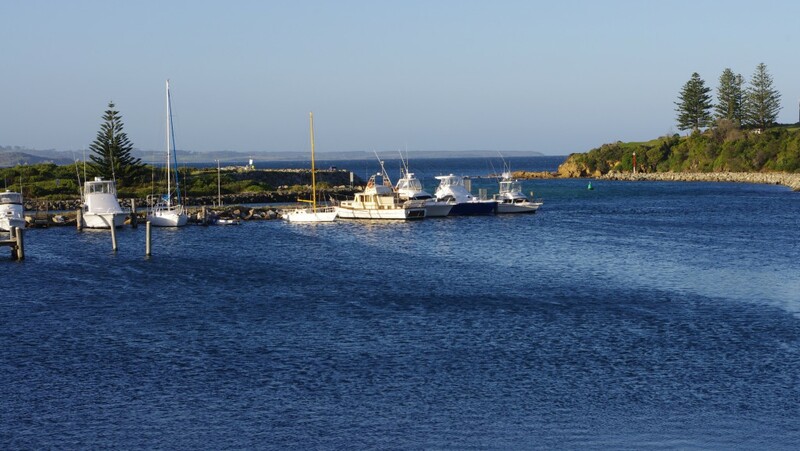 Bermagui is a seaside fishing town, with its own harbour, on the South Coast of New South Wales, in the Bega Valley Shire. 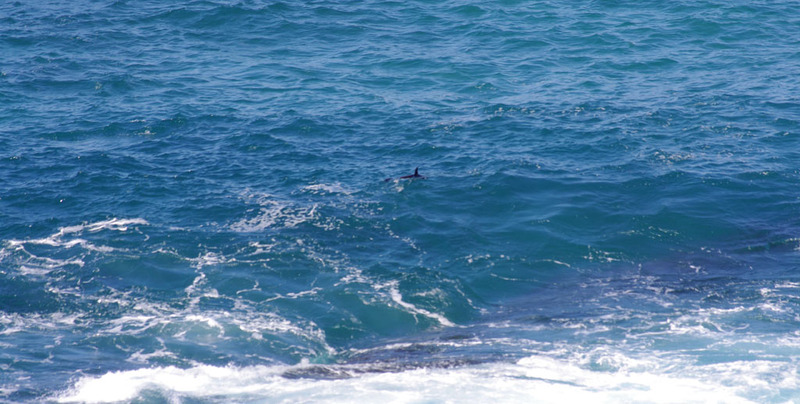 Not only is Bermagui well known for its fishing, with the continental shelf just 20 kilometres off shore, it has beautiful surfing, and swimming beaches, as well as the “Rock Pool,” an ocean swimming pool where one can swim and whale and dolphin watch at the same time. 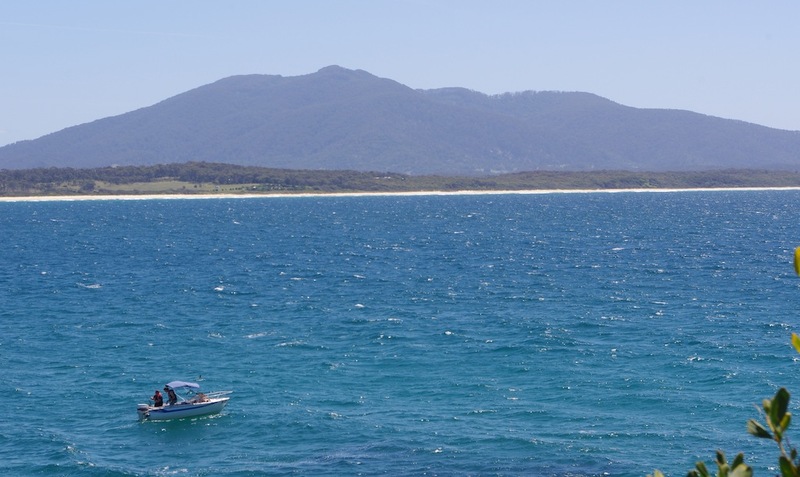 Bermagui also sits comfortably at the foot of Mt Gulaga, one of the highest mountains on the south coast. Once an active volcano, some 60 million years ago, it also has great spiritual significance for the Yuin indigenous australian people. 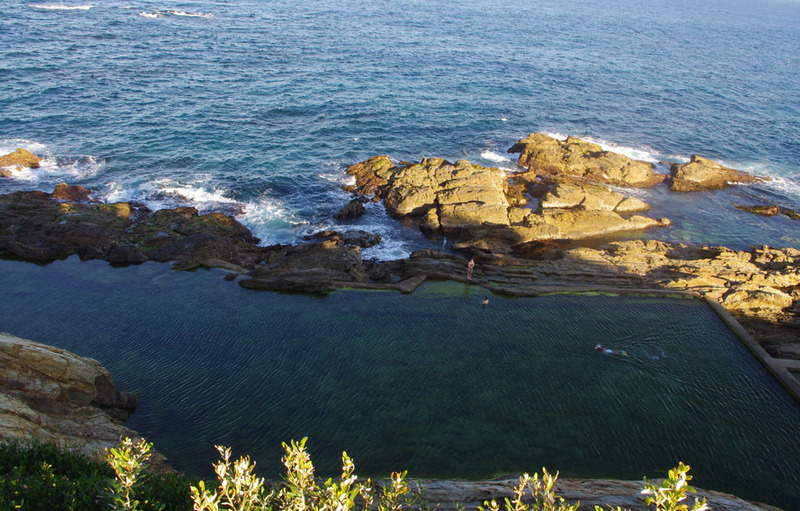 Gulaga symbolises mother-figure and provides the basis for the people’s spiritual identity.